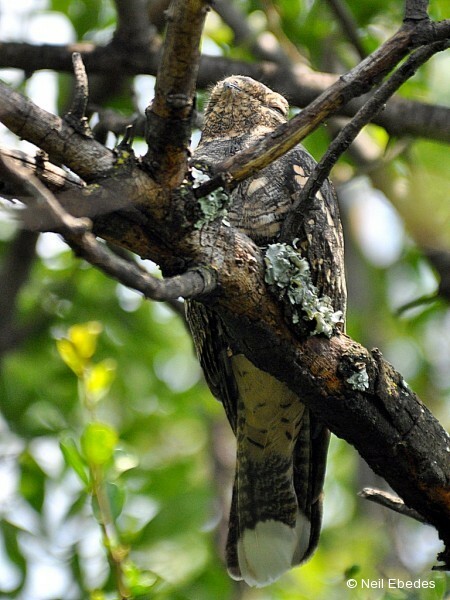 With the some moon to help, this bird will hawk various insects from a perch returning after a catch to feed. 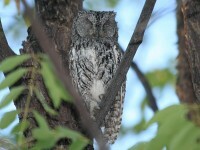 Can also be found in gardens. 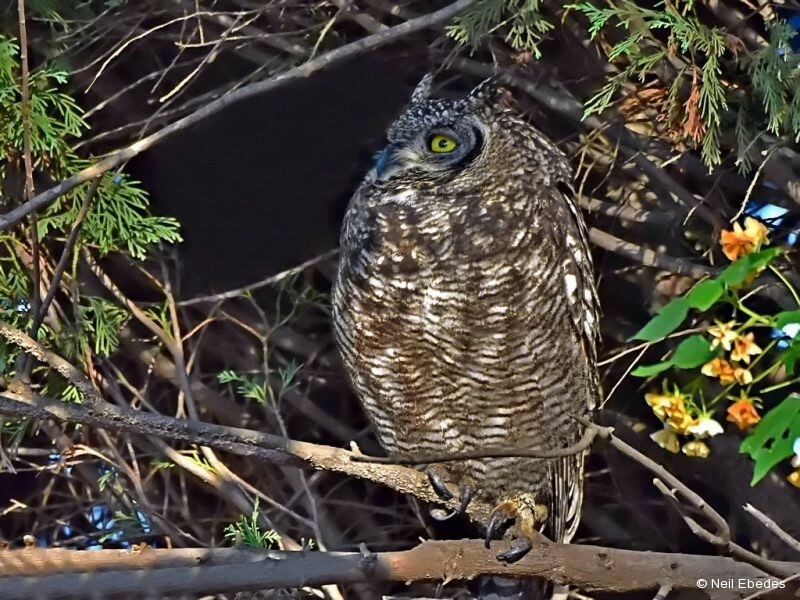 Can be found in parks and gardens, forages before sunrise and after sunset. 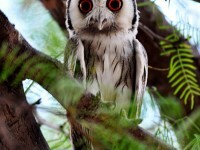 Eats flying insects. 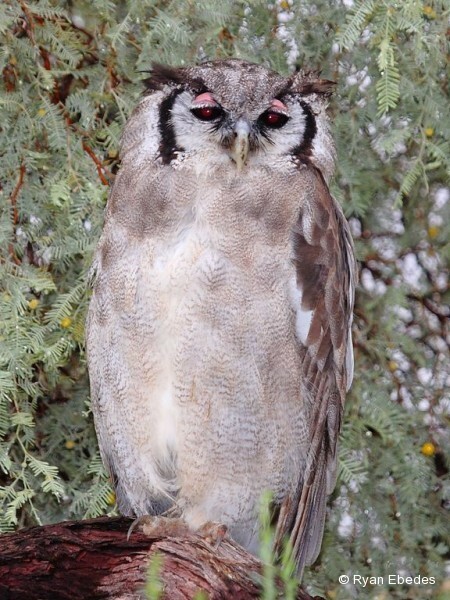 These Eagle-owls are often mobbed by other birds. 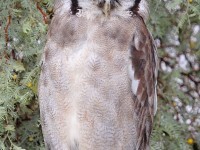 Virtually all common species in the area will attack it. 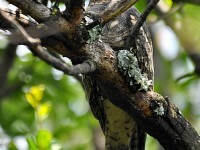 Some get quite close but it remains pretty unfazed. 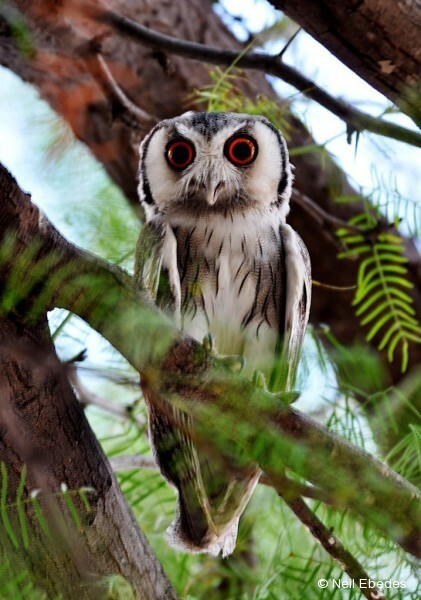 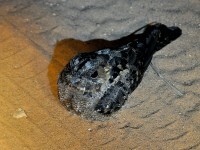 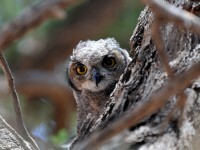 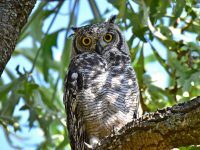 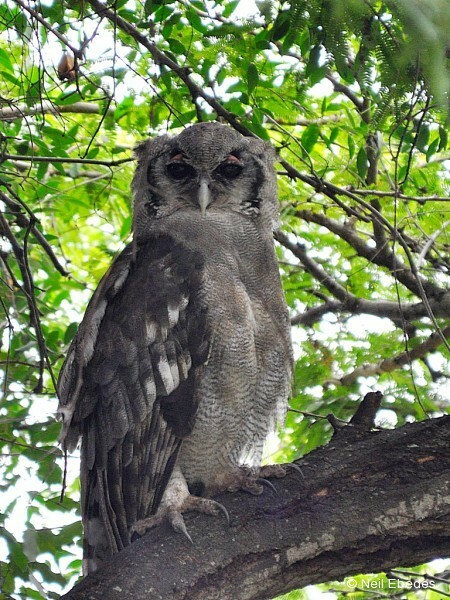 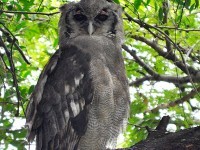 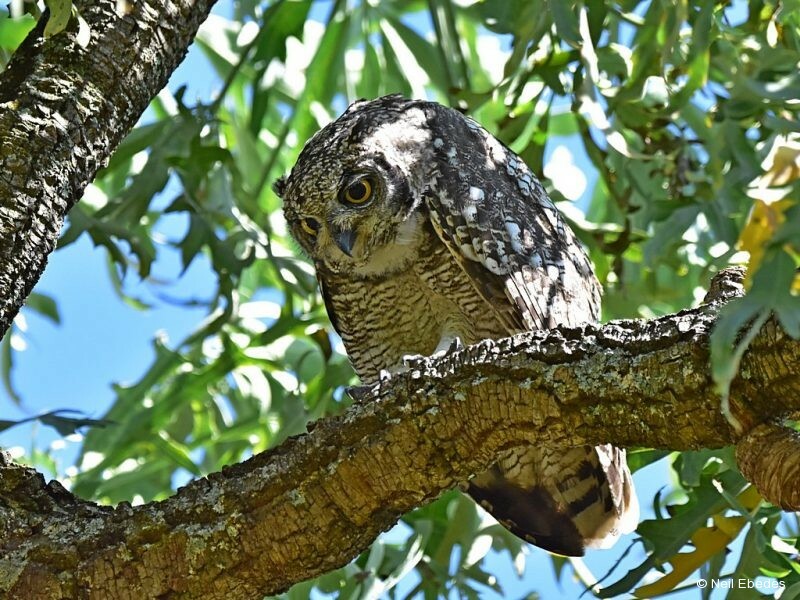 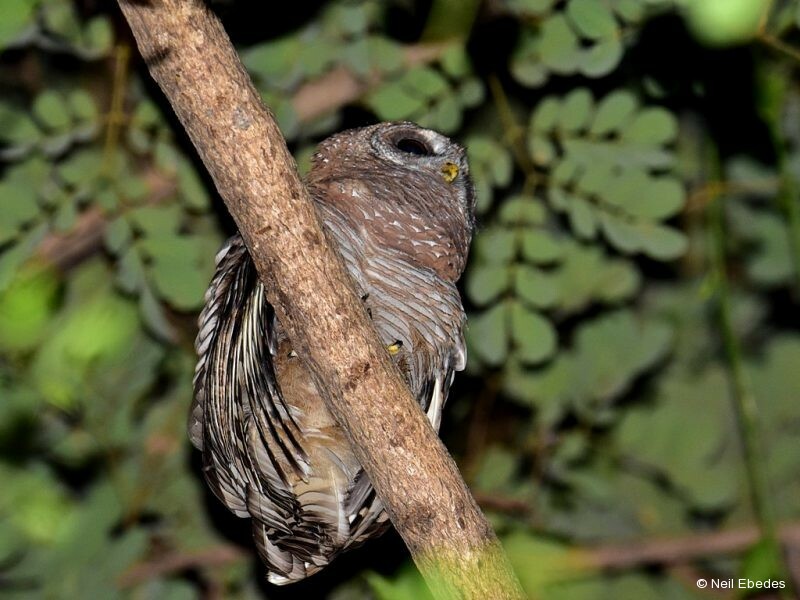 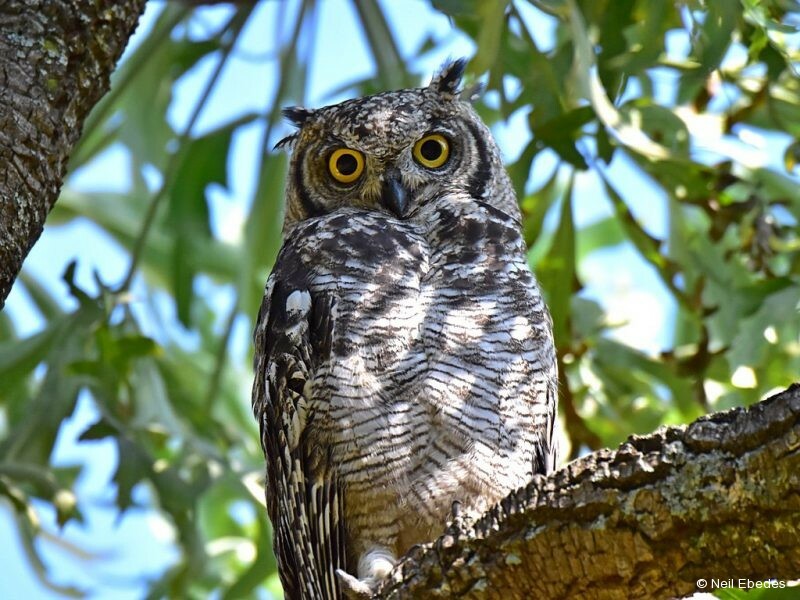 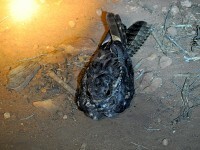 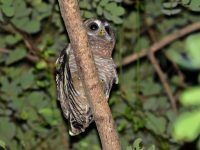 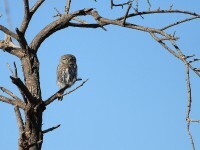 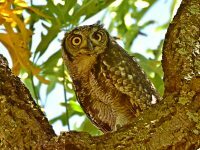 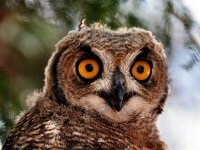 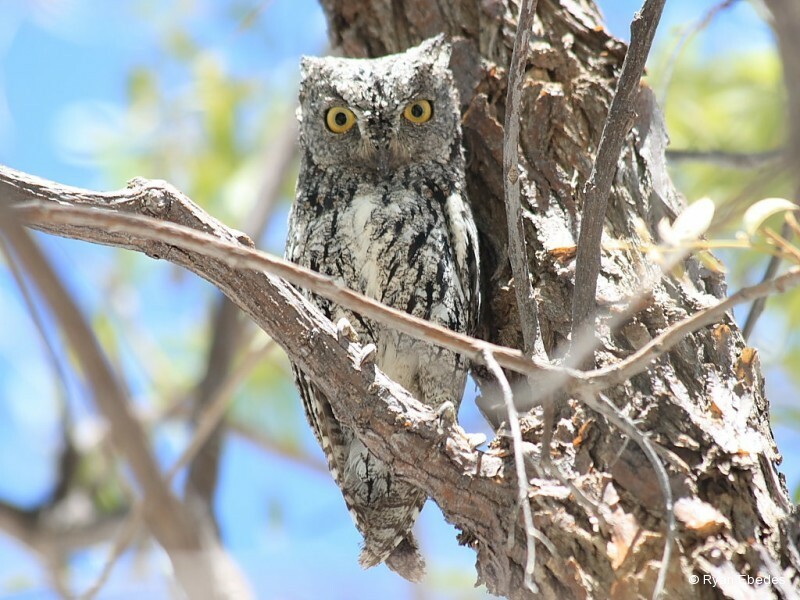 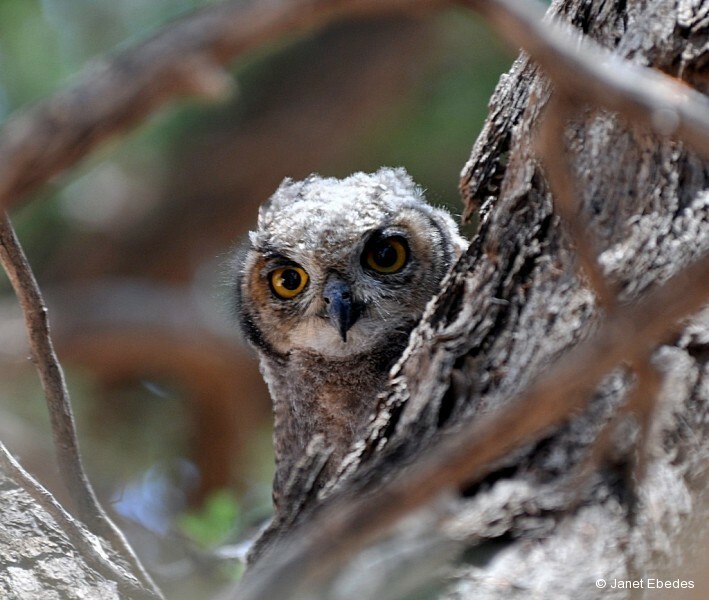 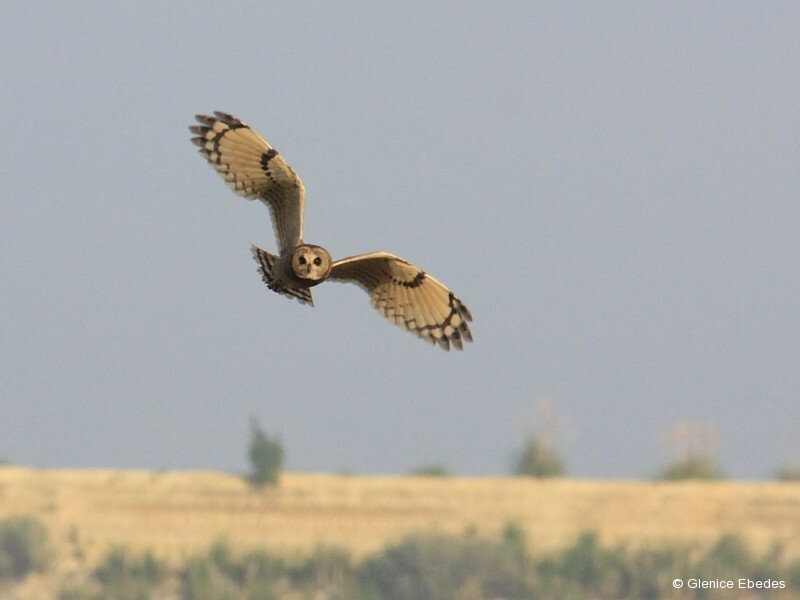 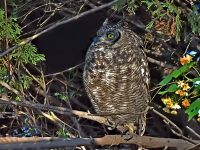 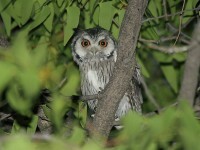 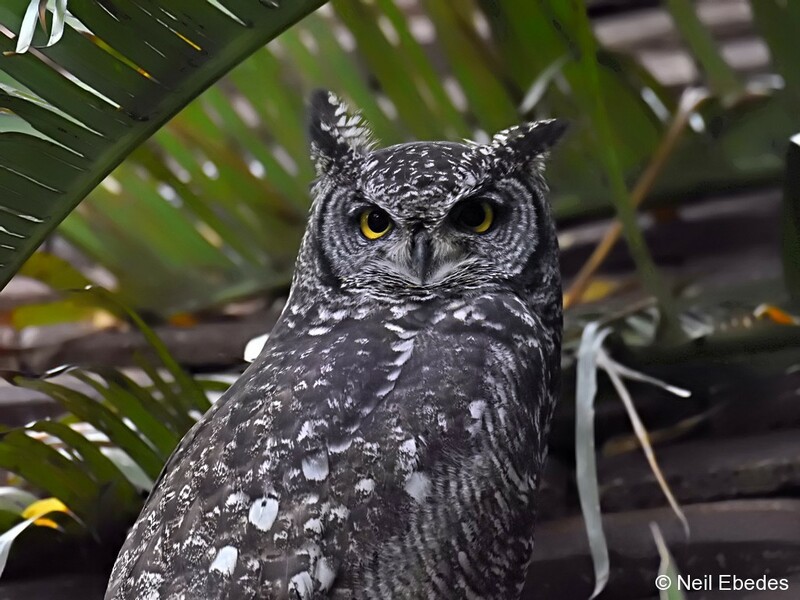 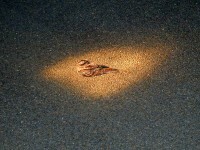 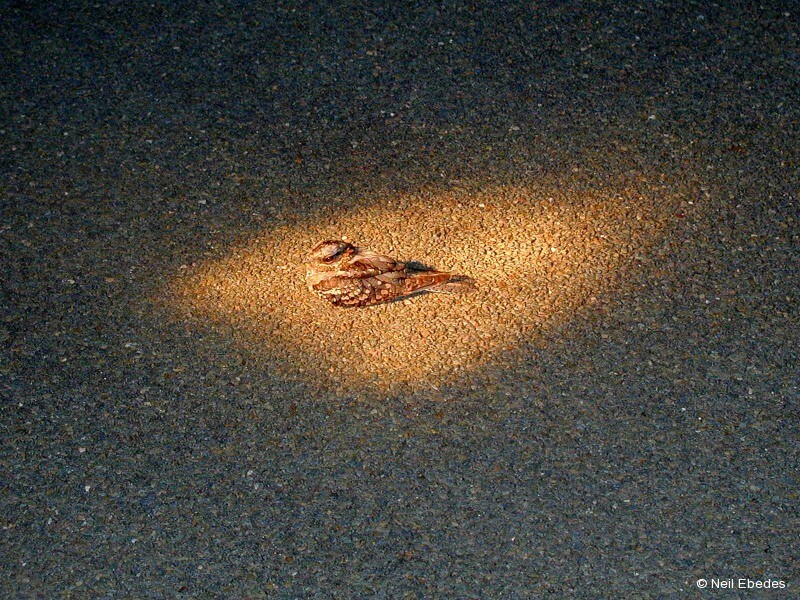 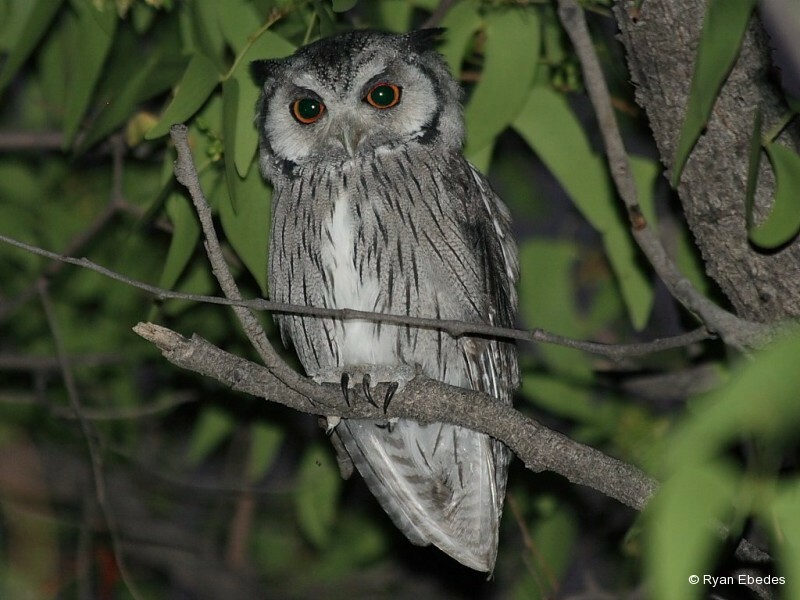 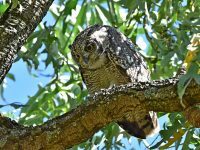 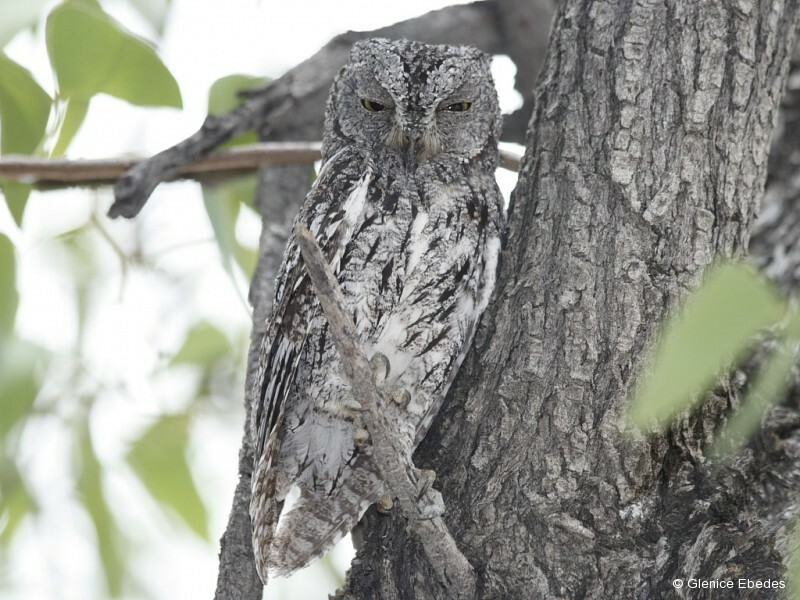 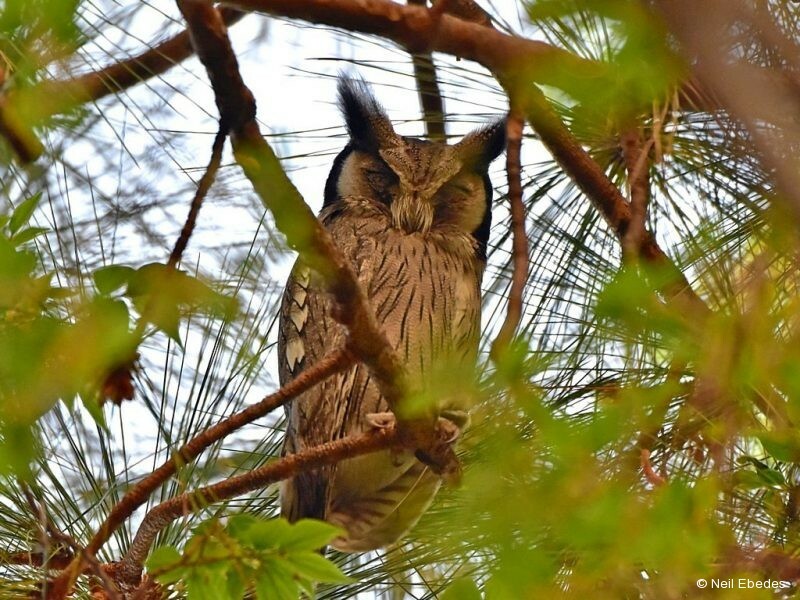 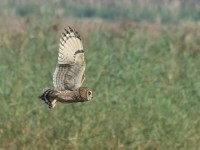 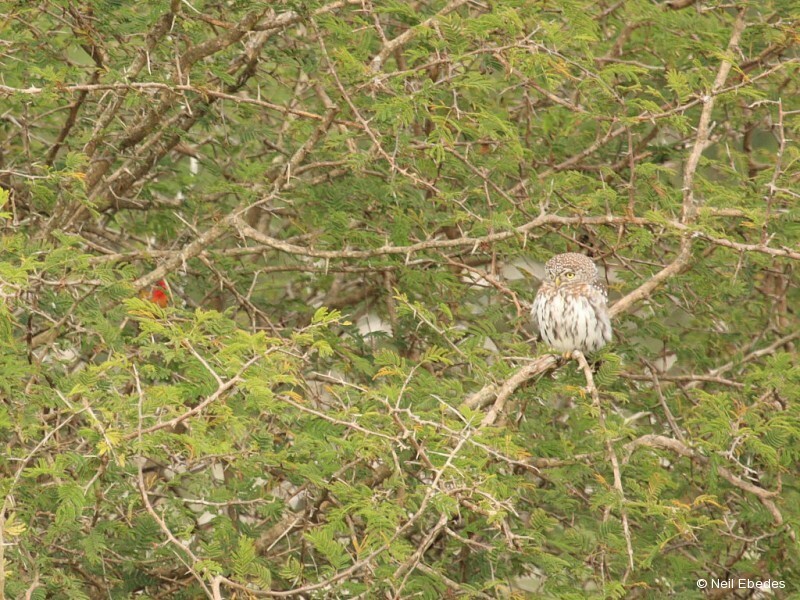 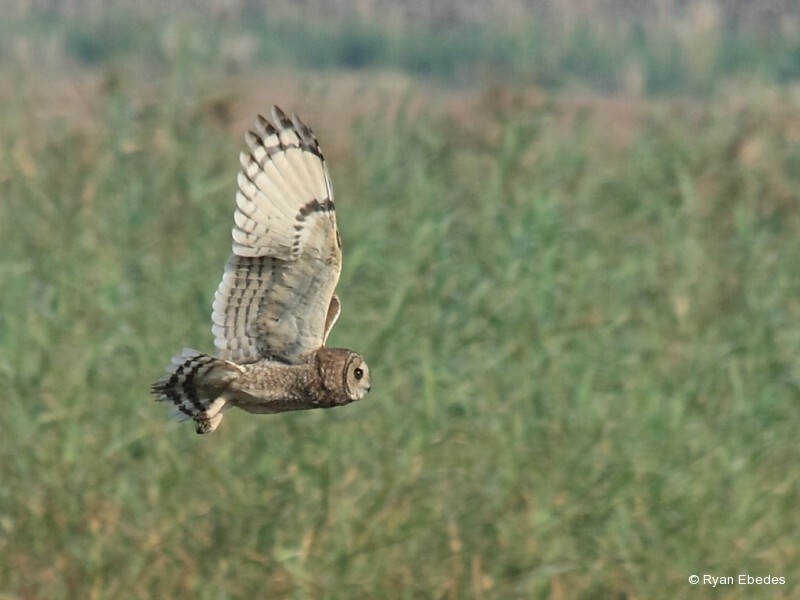 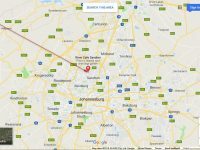 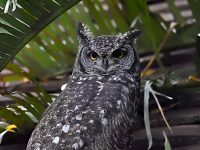 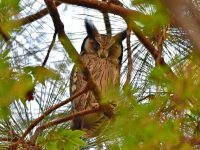 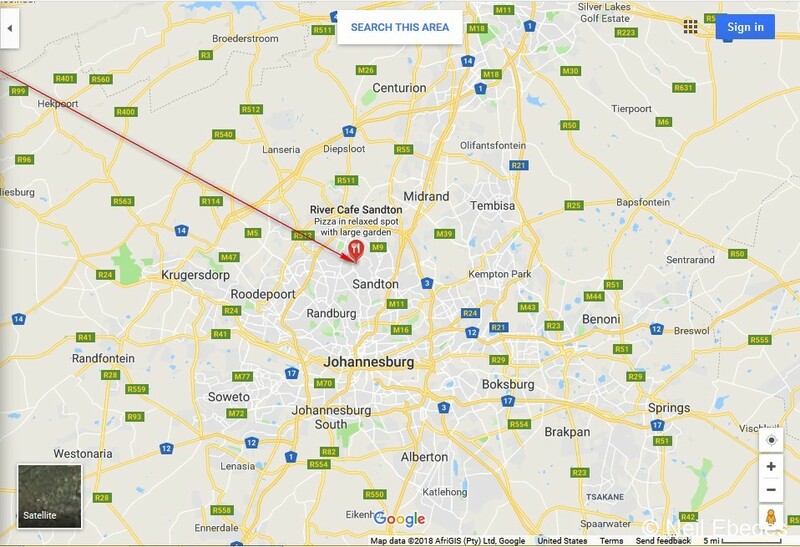 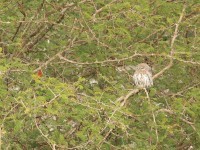 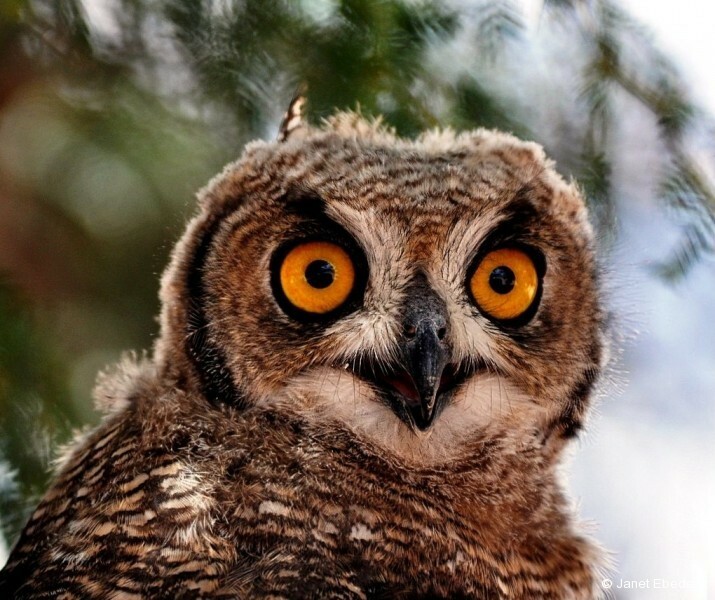 The unusual posting (The last picture) was the owl seen at the Field and Study Centre in Sandton.